Registration after Jan. 15, 2019. You will be invoiced for the entire amount but you may make a $400 payment to hold a spot in the workshop. The balance is due Jan. 31, 2019. Materials Supplied. See the Class Description if you'd like to bring your own live edge top. In this 6 day workshop you will construct this beautiful sitting bench or coffee table using traditional timber frame joinery, which is known for its integral strength utilizing locking joinery. This class will challenge and improve your hand tool and machine skills. 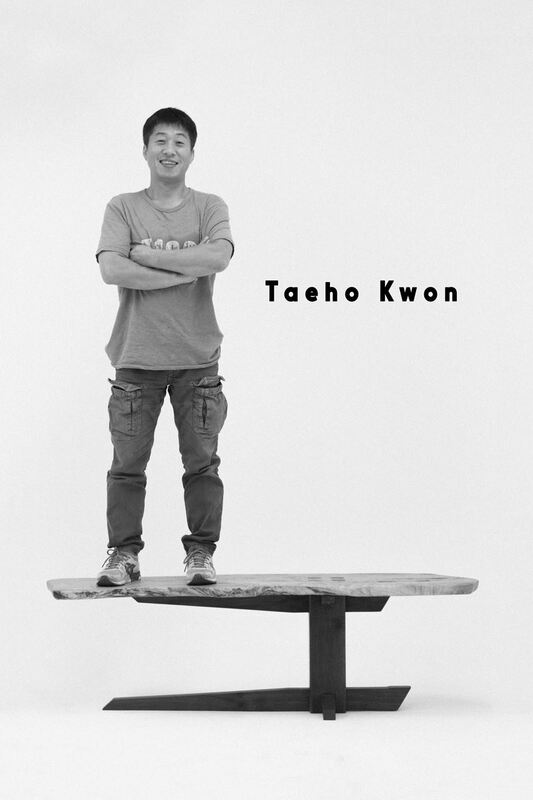 Taeho will discuss the concept and layout of the joints, as well as the preparation and sharpening of the Eastern hand tools used in the class.There are many books available about Eastern joinery that informs how to make the joints but not exactly where to use and not use, and why. During this workshop Taeho will share the answers to the questions he had, like these, during his apprenticeship years. At the end of the class you will have a greater understanding of joinery beyond the basic dovetail, and mortise and tenon. The table or bench, with the exposed mortise and tenon joinery on top, will take your woodworking to a new level. The approximate size of this bench or coffee table is 58″L x 20″W x 18″H. The construction will be walnut post and legs with a western maple top, achieving a nice contrasting wood appearance, based on availability. This workshop is normally targeted for woodworkers with intermediate skill levels, however,Taeho has developed jigs, to assist less experienced woodworkers to be successful with the hand tools used in the class. Students must have a White Card and should have some experience with the jointer, planer, and router table. This class will be staffed with Shop Attendants to monitor the safe use of Guild machines and to provide assistance. Students will be provided a tool list well in advance to prepare for this workshop. A work party will be scheduled for materials preparation. Materials will be provided. You may select to bring your own slab if desired. The slab should be approximately 48” – 60”L x 12” - 18”W x 13/4" - 2" thick. Contact the class coordinator to adjust the price before paying for the class. Direct any questions to Chip Webster, jdwebster3@comcast.net , the class coordinator. Students registering before Jan. 15, 2019 will receive an invoice for the $1195.00 but have the option to make an early payment of $400. The remainder due of $795, is due by January 31, 2019. If registering after 1/15/2019 full payment is required within 7 days of registration.